Once upon a time, the inventive director had spent years discussing his desire to make a dark, stop-motion version of the classic fairy tale. 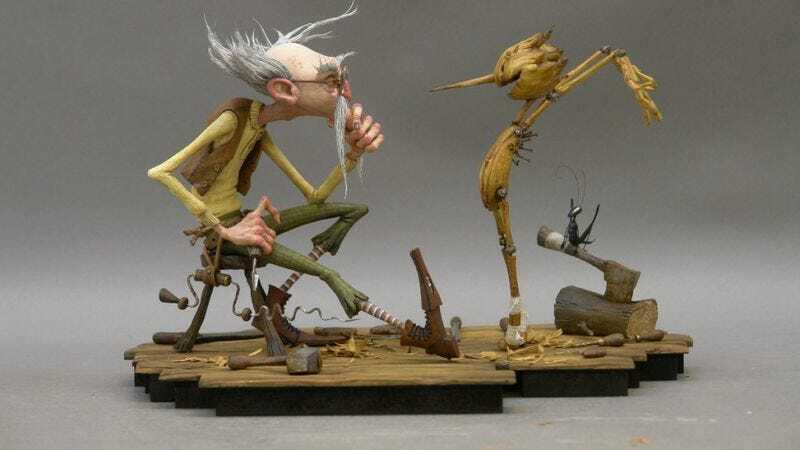 Based on the illustrated 2002 iteration of the famous book by Carlo Collodi, the film was originally in production back in 2011, before a loss of financing sent Del Toro to the proverbial drawing board, which for a stop-motion film is probably a very overstuffed board. But even bringing on Over The Garden Wall creator Patrick McHale earlier this year wasn’t enough to bring back those mythical financial backers, as Del Toro confirms in a new interview with IGN that the project isn’t happening. Despite his dream of this disembodied cinematic dream becoming a real film, it seems Pinocchio is doomed to forever reside in the Italian fascism of Del Toro’s mind, the $35 million needed to make it come to life forever out of reach. But the director has embraced the new state of affairs with gusto, saying he’s taking a year off to step back and consider his next step. At least The Shape Of Water lived happily ever after.